Through the generous support of FSU’s leadership and administration, the InternFSU program is ready to accept submissions for the Fall 2018 semester. 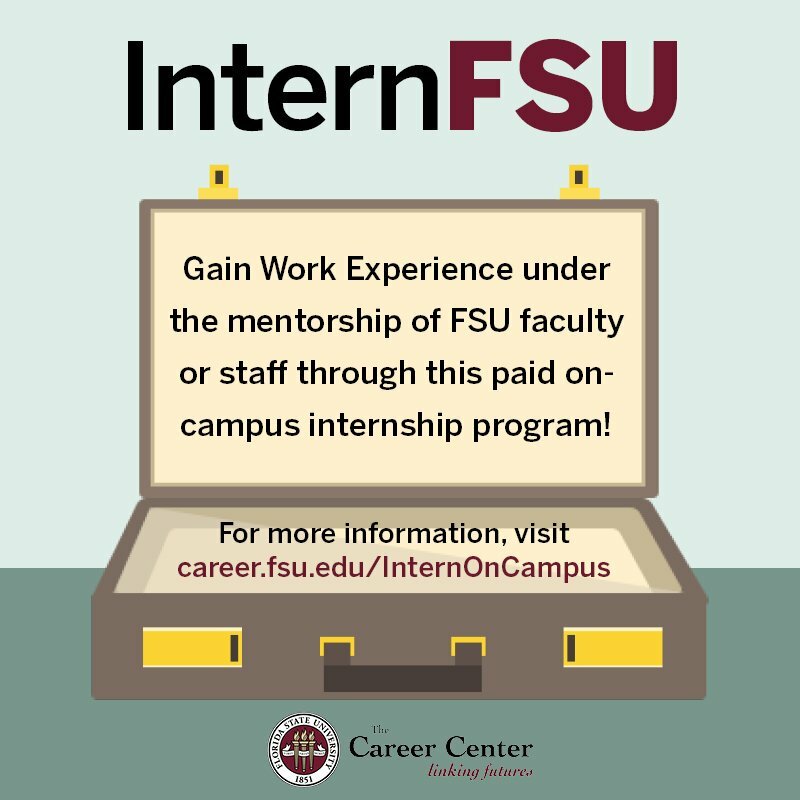 InternFSU provides paid, high-impact experiential learning opportunities for students to gain professional on-campus experience complimentary to their field of study or career goals. 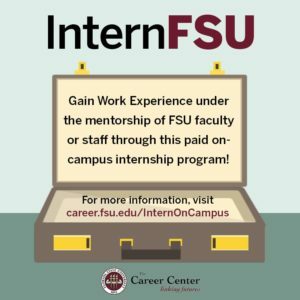 InternFSU hires will be paid through a split funding model; $5.00 per hour from the InternFSU program and $5.00 per hour from the host department/institute/lab/office/unit/etc.